Laws banning the sale of commercially bred dogs and cats in pet stores aim to end breeding in puppy mills. It may be a bit early to celebrate, but there is good news for Cook County animal advocates that had fought to outlaw the sale of puppy mill dogs and kitten mill cats in pet stores. In a thorough, substantive opinion, Federal Judge Matthew F. Kennelly granted the county’s motion to dismiss the lawsuit filed by pet storeowners and the Missouri Pet Breeders Association backing the Cook County Pet Store Ordinance that outlawed the sale of commercially bred dogs and cats in pet stores. The Court granted the County’s motion to dismiss for failure to state a claim on all five grounds (Commerce Clause, Equal Protection, Contracts Clause, Preemption, Vagueness). In very basic terms, this means that there isn’t enough to state a claim. The plaintiffs have until June 11th to file an amended compliant and the judge is holding a hearing on the case on June 16th. The measure passed the Cook County Board last spring and outlawed the sale of commercially bred dogs, cats and rabbits in pet stores in Cook County (outside the city limits of Chicago). Pet stores affected by the ordinance had until the beginning of October to cease selling dogs and cats unless they had been sourced from shelters, rescues, animal controls or humane societies. The lawsuit was filed in September weeks before the ordinance was to take effect. Thanks to the Cook County State's Attorney’s Office and Commissioner Fritchey the dogs and cats in the mills were not forgotten and the merits of the original law prevailed. 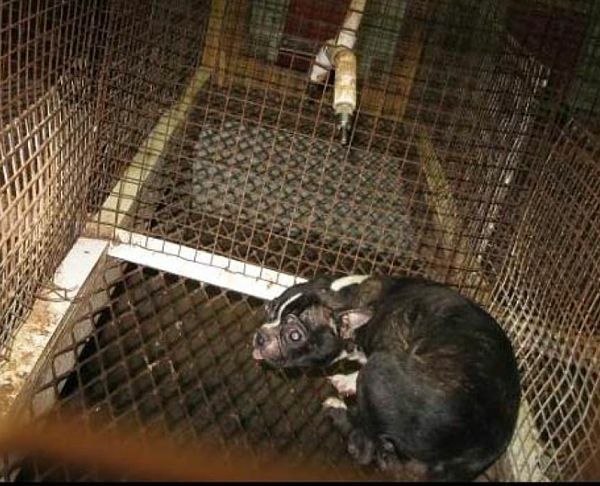 While the pet store owners were focusing on profit…dogs and cats continued to be bred for profit in puppy mills and kitten mills around the country. So what about the pets in the Cook County pet stores? We’ll have to wait and see what the judge rules this summer to see if the law will take effect immediately. In the meantime, the spotlight shines on another judge who has yet to rule on the merits of a lawsuit filed this spring aimed at stopping a similar ordinance from going into law in Chicago. The city version of the ordinance was approved 49-1 last March and due to go into effect this spring. The parties to that lawsuit are in the process of briefing the city’s motion to dismiss, and The Puppy Mill Project and Humane Society of the United States have filed a joint Amicus brief in support of the ordinance. Other communities that have discussed pet store ordinances include Naperville and Joliet. Many communities around the country have put similar ordinances on hold while the Cook County and Chicago ordinances worked their way through the court system.